Be on top of your game with our custom app. Deploying real-time scores and stats updates to your organization has never been easier. 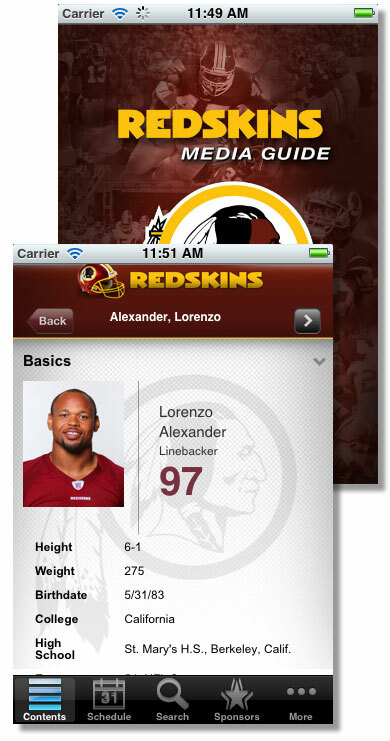 With our custom app, you will have in-game highlights at your fingertips. Editing the look and feel is done from your computer via our easy and intuitive user interface. Publishing your team media guide to the web or mobile device has never been more intuitive. No matter what platform your organization uses, Studio Tiga will support cross-platform app development. Whether it's marketing, team analytics, roster updates or media relations, utilizing technology to meet your business needs has never been more accessible. Let us build you an app that will change your game.